The Boston Bruins announced an update this morning on center Sean Kuraly. 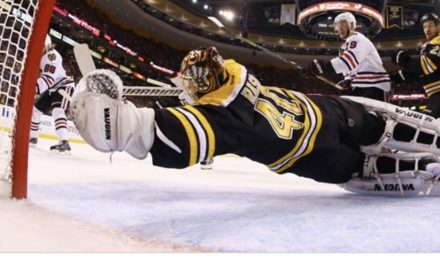 This past Thursday, March 21st, Kuraly sustained a fracture to his right hand after blocking a slap shot from New Jersey’s Steven Santini during the third period. Dr Matt Leibman performed the surgery and recovery time is expected to be four weeks. 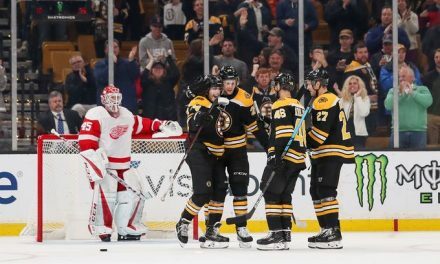 With the many injuries that have plagued this Bruins roster, Kuraly has displayed hustle, while developing chemistry on his line, especially with Chris Wagner. 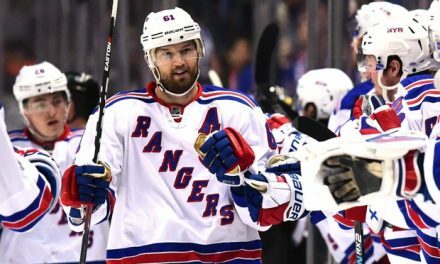 He came up big during the 5-0 victory over the New York Islanders this past Tuesday, netting two goals in that game. 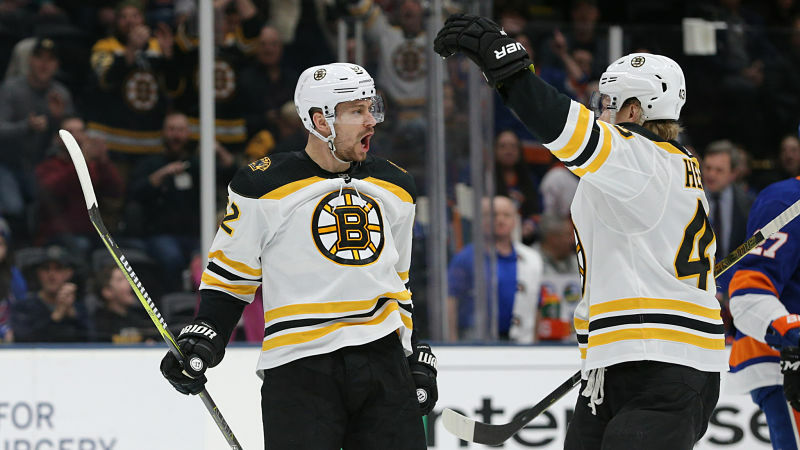 The 6-foot-2-inch center has become an important part of the Bruins shut-down line. 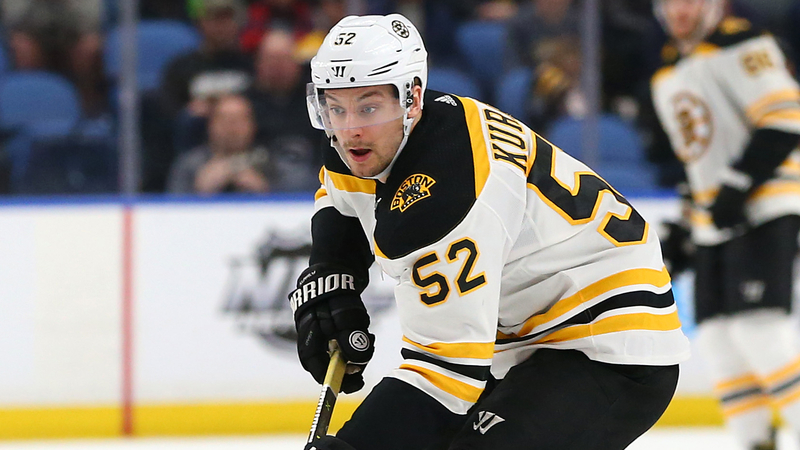 With Kuraly out, the Bruins have recalled Providence’s Karson Kuhlman on an emergency basis. Kuhlman made his NHL debut back on February 16th in a game against the Los Angeles Kings, and scored his first NHL goal in a game against San Jose Sharks. The Boston Bruins have also announced that they signed veteran and Captain Zdeno Chara to a one-year extension through the 2019-2020 season worth $2 million, plus an additional $1.75 million in performance-based incentives. The team is currently down in Florida where they enjoyed a day off a the Jacobs Manor. 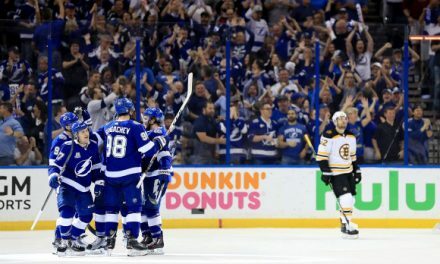 The Bruins will be facing the Florida Panthers at the BB&T Center tonight, with puck drop at 7:00pm. If victorious over the Panthers, Boston will punch their way into the Playoffs.